What’s in a label? If you were to ask these two athletes they could now tell you – plenty! That was one of the key messages to be gained by the athletes who participated in the supermarket tours arranged by MWAS recently. 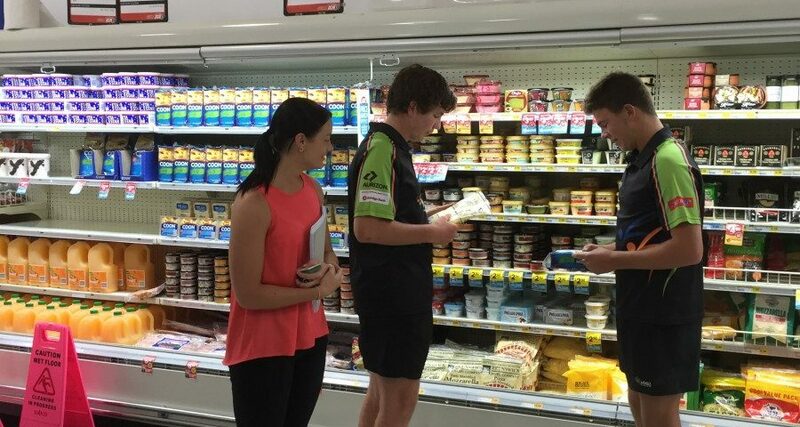 This debate between Ringo McKenna (cricket) and Jack Osborn (squash) over which cheese to choose, was just one of the many interesting and insightful lessons gained by the athletes and their parents on the tours. 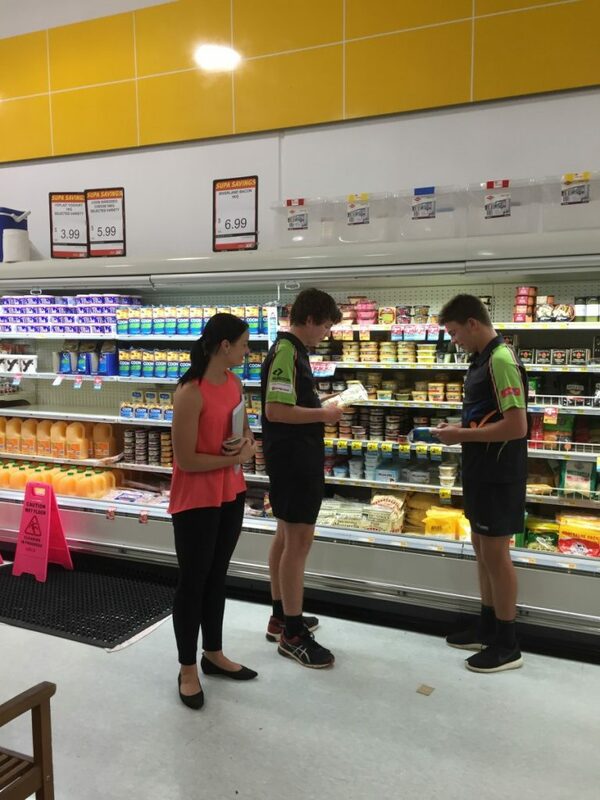 The supermarket tours were run by Sports Dietician Temika Lee and provided a great insight into the world of nutrition. In addition to the nutritional value of food for athletes, Temika also informed about the layout of the typical supermarket and where the athletes should go to find the highest nutritional value in food to fuel their training and competition needs. Temika noted “the supermarket provides a relaxed atmosphere to discuss nutrition. It is also the source of much of the food we eat, so it is valuable for athletes and parents to understand how they can go about improving the fuel they provide their muscles and brains”. Follow up sessions in other aspects of nutrition and food preparation will be conducted over the course of the year with the suggestion of a MWAS master chef competition a real possibility!